According to US government statistics, 129 Indians were administratively arrested as on January 31 in connection with their enrolment at the “university”. 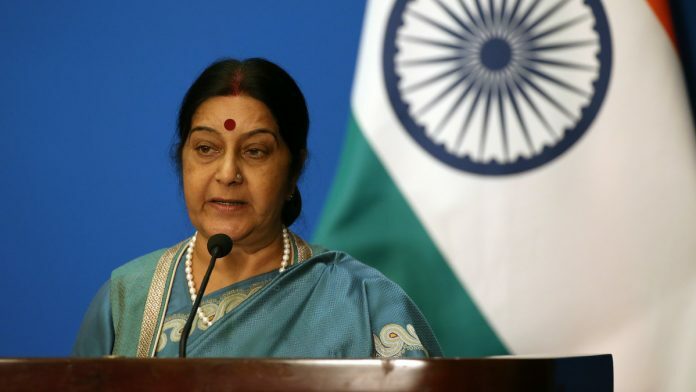 “As on date, our embassy and consulates have obtained consular access to 117 of them, by pro-actively visiting 36 different detention sites through the length and breadth of the country,” the MEA said. “We remain in touch with the US authorities, both at the federal and local level, to ensure and satisfy ourselves about humane and dignified treatment of the Indian students and custom-sensitive dietary and living arrangement for them during the period of their detention,” the statement said. The ministry’s statement came after the US State Department said all 130 foreign students, including 129 Indians, detained in the US for enrolling in a fake university, were aware that they were committing a crime to fraudulently remain in the country. The fake university was set up by DHS’s investigating unit in Greater Detroit area to bust the “pay-and-stay” racket. Eight individuals either Indian citizens or Indian-Americans have been arrested for running the racket. They have pleaded “not guilty” before a federal court in Michigan.